The holidays are about traditions and spending time with loved ones, so who wants to spend all that time prepping for it instead of taking part in all the fun? We are all familiar with the turkey, ham and all the fixings that are a staple during the season. The Uptown embraces this sense of tradition and wants to be one of your new ones. Our dressings, desserts, breads, and crackers are available as a perfect new addition to any holiday meal. Our breads and cookies are baked fresh daily. 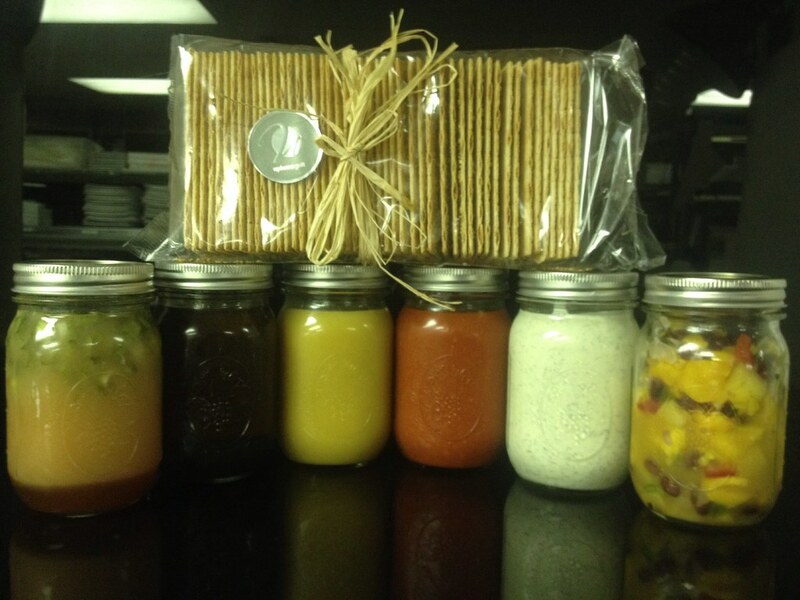 Our dressings are made from scratch by our skilled chefs, and our crackers are not available anywhere else. Even though it's not necessarily the main course, our dressings and gourmet breads serve as the perfect accessory to any meal. If you're looking to plan ahead for the season, we invite you to call, email, or come in and see us personally. We would be beyond happy to create a fresh batch of whatever you need, just for you! And don't forget, you're not limited to only breads, dressings, or desserts. We also offer a full assortment of appetizer platters that are neatly packaged in an elegant container. These are perfect for any party, get-together, or family gathering during the season. Even though we like to showcase these options during the holiday season, they are also available year round, any day of the week. You can call ahead and pick up at a time of your choosing. While we're not open on Thanksgiving or Christmas, we can certainly make the holidays a little easier for you. Just remember: the Uptown will do all the work for you, but we'll let you take all of the credit!